White Space Entertainment, global master licensing agent for STX Entertainment, has selected Jay Franco as key licensing partner for the UglyDolls brand. Under the licensing agreement, Jay Franco will have rights to a variety of home products, including bedding, bath, pillow, beach and more. "We are working with the best-of-the-best licensees to develop the UglyDolls brand, and Jay Franco certainly fits the bill in the Home category," said Stephanie Sperber, CEO of White Space. "Their creativity and incredible product design fits well with the cool, hip Uglydoll aesthetic, and their retail presence and relationships will ensure consumers will have access to their incredible products." "We are thrilled to be working with STX and White Space on UglyDolls, to develop products that elevate their message of positivity, friendship, uniqueness and self-empowerment aimed at inspiring young people to follow their dreams and never be afraid to be themselves," said Elisha Gordon, VP of Licensing at Jay Franco and Sons. The UglyDolls franchise is set to kick off with an animated feature film slated for a 2019 release via STXfilms, with additional UglyDolls projects in the works across STX's multiple divisions, including STXtelevision, STXdigital and STXsurreal. 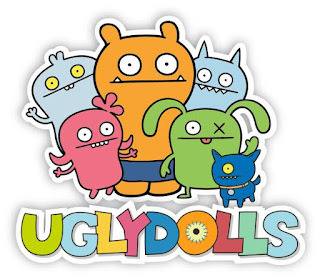 Uglydolls has been a specialty brand of plush and other trend-driven products since 2001. White Space Entertainment is a full-service branding, licensing, alliances and digital gaming agency focusing on developing IP franchises globally. Select clients include Dr. Seuss, STX, Benji, Blumhouse, Uglydolls, Fandor and Peanuts. White Space was founded in 2015 by Stephanie Sperber and is based in Beverly Hills California. For more information, please visit http://www.whitespaceentertainment.com. Jay Franco and Sons, Inc. is the leading importer in the licensed Home Furnishing industry featuring Bedding, Bath, and Beach accessories for over 60 years. The company prides themselves on providing their customers with superior expertise, expansive and innovative production capabilities, the latest textile fabrications, and selling their products in mass merchants, department stores, and specialty retailers nationwide for the best price. Jay Franco and Sons, Inc. has affiliated offices in Taiwan, Shanghai, India, and Pakistan. STX Entertainment is a global next-generation media company whose mission is to unlock the value of the direct connection stars have with their fans through the development, financing, production, marketing and distribution of film, television, VR, digital video, music and live entertainment content. It is the industry leader in transforming beyond traditional platform-driven content to creating talent-driven enterprises. The company is led by accomplished businessman Robert Simonds and was co-founded by Bill McGlashan, managing partner of the leading global private investment firm TPG. Other investors include Hony Capital, a leading private equity firm in China; PCCW, Southeast Asia's largest Internet and cable services provider; Tencent Holdings, China's leading provider of online products and services; Liberty Global, the world's largest international television and broadband company; Dominic Ng, Chairman of East West Bank; DNS Capital (representing the business interests of Gigi Pritzker and her immediate family); and Beau Wrigley, former Chairman and CEO of the Wm. Wrigley Jr. Company, among others. With these strategic relationships, the company is uniquely positioned to maximize the impact of content worldwide, with direct passage into the China market. David Horvath & Sun-Min Kim created the first UGLYDOLL hand-sewn plush toy in 2001. Since the inception of the first character, Wage™, who David drew on a love letter to Sun-Min, UGLYDOLL has grown into an entire universe of characters, stories, and products for all ages. 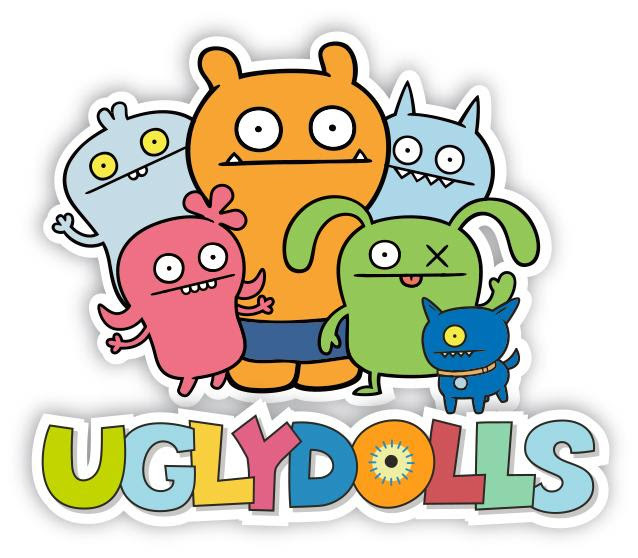 The UGLYDOLL brand was launched in 2002 by Pretty Ugly, LLC in New Jersey. The property is distinguished by David & Sun-Min's unique aesthetic and voice defining 'ugly' as distinctive and unique. The award-winning UGLYDOLL characters appear in a variety of toys, books, apparel, and other licensed products that are available in thousands of stores, worldwide. For more information, please visit www.uglydolls.com.